Undertaker, Embalmer, Mortician and Funeral Director: What’s the Difference? People who inter the bodies of our beloved dead play an important role in that rather dark moment in our lives and, thus, play an important role in the greater society. No doubt we all recognize this as a fact but sometimes people get a little confused as to what we call them. People call people who handle the dead, morticians, undertakers, funeral directors and embalmers. With so many names, used by so many different people across generations, it’s quite understandable there may be a little bit of uncertainty which name is appropriate for whom. So, this article will hopefully clear up the confusion and tell you guys which is which. Mortician and undertaker are synonymous with the title of funeral director the only difference being mortician is an American term and undertaker is more British. How there are two separate terms for this has quite a little story. In 1895, people have generally associated the term “undertaker” with death and so has a rather unpleasant connotation for most people. So, the trade magazine The Embalmers’ Monthly put up a contest to change the name of the undertaker to something new and acceptable to the general public. Out of the many entries, the term “mortician” won the contest and this stuck since. 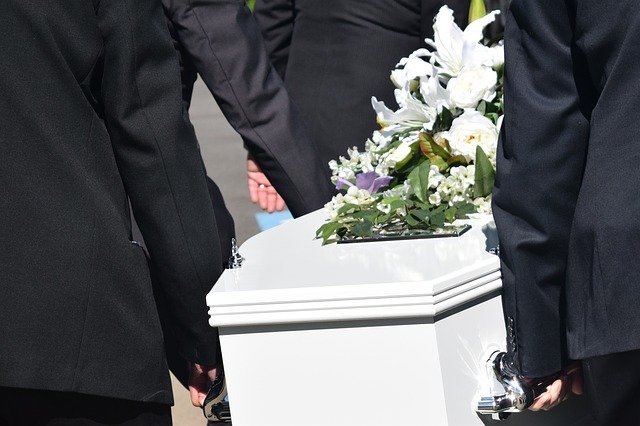 No matter how you call it, the undertaker, the mortician or funeral director, he or she must be licensed by his or her state and if, of course, obligated to follow rules and standard procedures that are in compliance with mortuary health and safety. Embalmers, on the other hand, have a very specialized task to handle. They are licensed pros who have to do the, shall we say, the nitty-gritty work of actually handling the body and prepare it for the burial services. They are the ones who overhaul the body and remove the fluids of the dead body to replace it with embalming fluid in order to delay the process of decomposition. In many states in the US, the funeral director and the embalmer have different licenses but it does not mean one cannot be another, given enough training and proper registration. In fact, there are a number of funeral directors who do embalming jobs as well. So this could be where the confusion as to who to call what, all began. Various cultures from across time, whether in a small tribe or a great civilization always have an immense reverence for the dead. This means that they have elaborate, shall we say, funeral service programs to make sure they send their dead to the afterlife as ceremonious as possible. Thousands of years ago, in Ancient Egypt, this has been practiced and they had very meticulous procedures that astound experts even today. Speaking of today, it’s amazing to think that despite all the discoveries in medical science and all of our technological advancements, there is still some part of us that reveres the passing of a person, particularly if this is somebody we know. There is something deeply sacred about having to prepare elaborate rituals just to send off our beloved dead. This is something that’s truly fascinating and tells us much of the complexities of human nature.